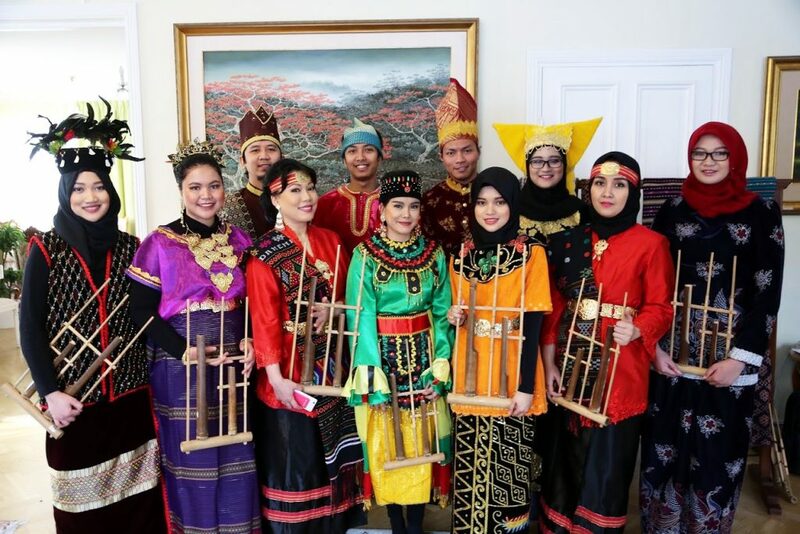 In early January, we Indonesian students were asked to perform angklung musical instrument for an event of Diplomatic Spouse Club of Sweden at February 8th. Without hesitation, I applied. Of course, I would like to promote Indonesia culture to ambassador’s spouse from various country. This is a great chance! Besides that, I also want to learn how to perform angklung for many songs. 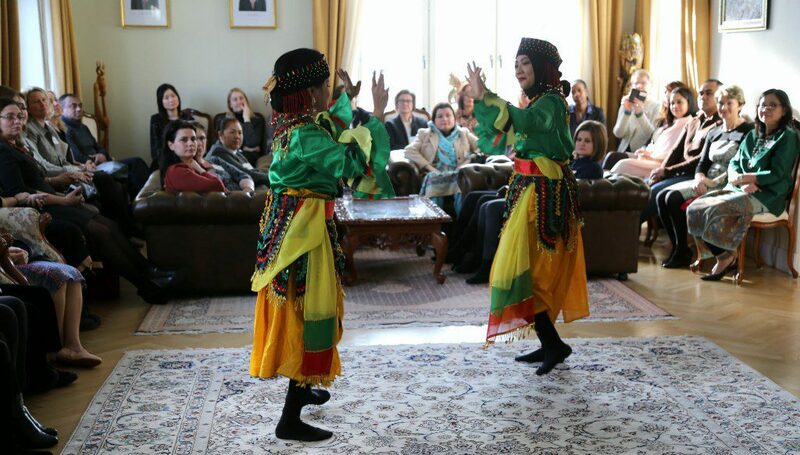 To prepare for the performance, we practiced once per week. In total, we practiced four times. Every practice was so fun! We learned how to play and harmonize our parts together. We planned to perform Que Que Sera, All My Loving, and Yamko Rambe Yamko songs. So, we build the mood by playing a slow song and end the performance with an exciting song. While Que Que Sera and All My Loving are English and old song, Yamko Rambe Yamko is a traditional song from Papua. Somehow, the performance day arrived. That day performance was quite special as we will perform while wearing Indonesia traditional dress from various regions among others Java, Sumatra, Kalimantan, Sulawesi, and Papua. The dress was so colorful! We became more enthusiastic to perform! Then, as all spouses’ eyes watching us, we performed the song. It went well. In the end, we received applause and I saw that they like our performance so much! In the end, the event was closed by eating lunch together. The food was very diverse and absolutely delicious! 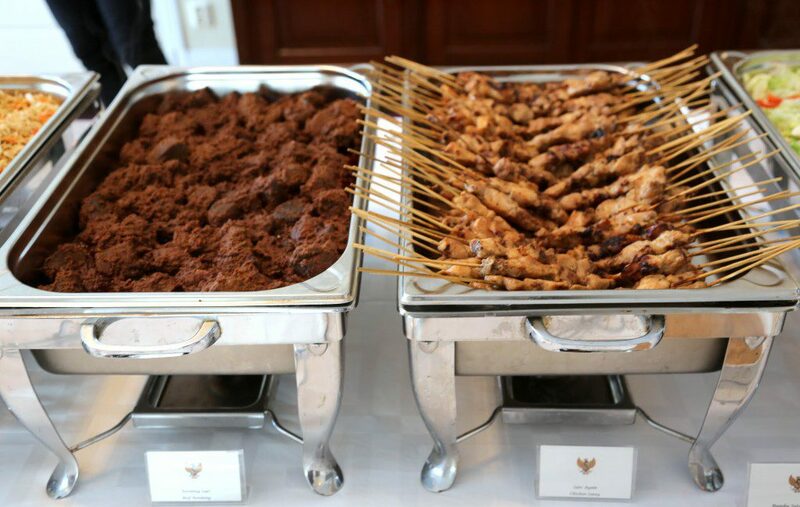 One of the most delicious food in the world was also served: rendang! From this performance, I learned many things. As we practice, I learned that to perform angklung well, we have to listen to the sound produced by our partners so that harmonize sound can be created. Sometimes, others or I can make mistakes, but by perform together, we help each other and compensate for the flaws of each person. Furthermore, from this event, I realized that there are so many ways to promote Indonesia and we can do it in fun ways through traditional dance and traditional music.